The City is considering a Development Permit with Variance application for a 23 Storey residential building with ground floor commercial. 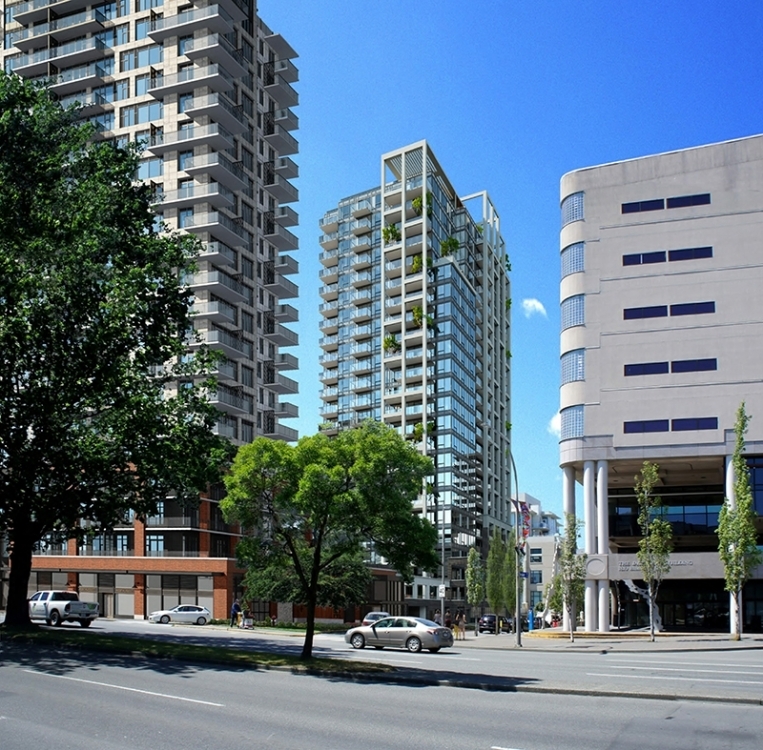 A variance for building massing setback at the upper storeys (Blanshard Street) is required. The proposal was presented by Justin Filuk, director of development in Victoria for Townline Homes.